Liza Yowell has been a licensed esthetician and massage therapist for over 20 years. 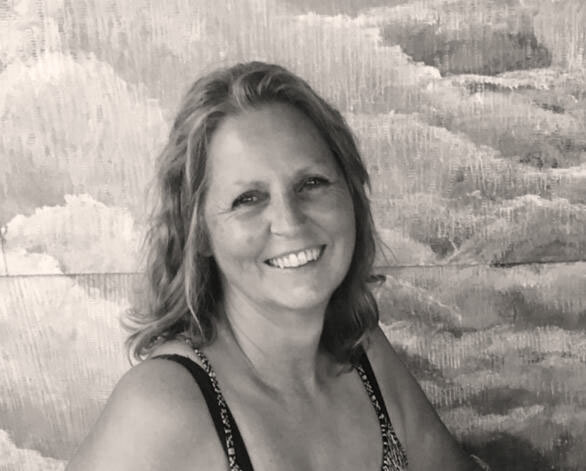 She began her journey toward skin care and massage therapy in 1997 and has practiced on the Outer Banks since 2003. She graduated from Radford University in 1995, then went on to obtain her certification in Massage Therapy from Potomac Massage Training institute in Washington, DC in 1998. While working in Serenity Day Spa and Alternative Health Associates in Alexandria, VA, she became passionate about skin care and received her degree in esthetics in Washington, DC in 1999. Liza is proud to now work in collaboration with Outer Banks Dermatology so her clients can get a full spectrum of services for the maximum health and esthetics of their skin. In 2008, while working in an acupuncture office with Cheryl Blankenship of Island Acupuncture, Liza was introduced to cupping and began to realize that not only were the cups beneficial when used in Chinese medicine, but also when used in massage to loosen muscular adhesions, lengthen fascia and break up scar tissue. She subsequently became certified in Massage Cupping and Medicupping through Ace Massage Cupping with Anita Shannon in Asheville, NC. In addition, Liza travelled to Vancouver, British Columbia to study with the famous yin yoga master and scientist, Bernie Clark, in order to gain more knowledge of how people of any age and physical ability can provide self-care for themselves to lengthen their deep fascia tissues outside of the massage room. Liza then went on to begin her energy healing journey by falling upon the Usui lineage of Reiki through her Reiki master instructor, Anne Ehringhaus in Ocracoke, NC and also began to study Craniosacral Therapy through the Upledger Institute. She’s also passionate about working with senior citizens and is certified in geriatric massage. As a breast cancer survivor, Liza has developed a deeper understanding of the physical, emotional and mental struggles her clients sometimes face. She continues to enjoy assisting people on their path toward healing. In her free time, Liza likes to take walks on the beach, surf and snowboard, travel, meditate, do Pilates on the reformer and gentle/yin yoga and spend time with friends, family and her retired racing greyhound, Buck. Maintain the health and integrity of your skin and free your body from aches, pains, energy blockages and dis-ease…the natural way. Lori Wilson is a licensed massage therapist and has a masters degree in counseling psychology. Her educational background has enabled her to better understand how one’s emotions can affect the body. She has a great awareness and deep respect for the human body and its ability to heal. Lori is very intuitive and tailors every massage to address each person’s individual needs. She brings a gentle demeanor and healing-centered approach to her profession. Massage cupping therapy can additionally be offered during your massage with Lori to soften tight muscles and tone attachments, loosen adhesions and lift connective tissue…bringing hydration and blood flow to body tissues, moving deep inflammation to the skin surface for release, and draining excess fluids and toxins by opening lymphatic pathways. Lori also works with Bach flower remedies to address emotional issues such as anxiety, stress and depression utilizing the essences of herbs, plants and trees.